Before joining Cannon & Dunphy S.C. in February of 2018, attorney Michael Cerjak specialized in representing families of individuals and individuals seriously injured due to neglect in nursing homes, long-term care facilities, hospitals, and more. He has also spent years representing insurers and businesses in insurance coverage, commercial litigation, and personal injury cases, which gives him insight into how the defense will approach a case in order to best prepare his clients for trial and negotiations. Attorney Cerjak has successfully fought for and secured favorable jury verdicts in dozens of cases and has appeared in appeals in front of the Wisconsin Supreme Court, the United States Court of Appeals for the Seventh Circuit, and the Wisconsin Court of Appeals. In 2015, attorney Cerjak visited Stanford University to participate in the 43rd Annual International Association of Defense Counsel Trial Academy, where he earned praise from some of the top trial lawyers in the nation for his skills and experience in the field. Since joining the plaintiffs’ bar, he was nominated for and selected to serve on the Wisconsin Association of Justice’s Amicus Committee. This committee is comprised of highly trained trial attorneys working to present and highlight arguments before the Wisconsin Supreme Court and Court of Appeals in notable cases. 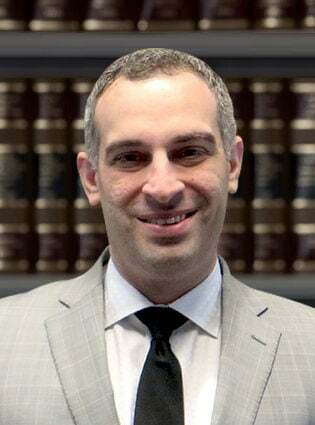 In addition to his work as a professional lawyer, attorney Cerjak enjoys advising Marquette University Law School students in preparing to present appellate arguments at notable moot court competitions throughout the country.